Chambers (pictured above receiving his award from club sponsor Damian Anderson), received 29 per cent of the vote but was run close for the gong by runner-up Matthew Pennington (26 per cent) with Trevoh Chalobah third (19 per cent). The Blues skipper, who recently signed a new contract, also won the Ultimate Supporters Award (formerly the Away Match Passport Holders Award), while Jack Lankester was named the Dale Roberts Academy Player of the Year. Manager Paul Lambert, warmly welcomed by a sell-out crowd, was also handed an award by Supporters Club veteran Irene Davey bearing the inscription ‘Thanks for putting the smile back on the terraces’. All this season's 16 full debutants were given silver salvers with most of the first team squad and staff present. Speaking to host Terry Butcher after being handed the Harwich Rosebowl, Chambers said: “It’s not the ideal situation to receive the award but all I can say is thanks to everyone that voted and it’s a nice thing to receive but it’s not the circumstances I’d want to receive it. “The support we’ve received as players when we could have been called anything under the sun, we’ve all had our tough times as players. I don’t think there’s really anyone that massively deserves the Player of the Year award. “Obviously you guys probably should have got an award at some point for the support you’ve given us. Chambers paid tribute to the club’s support: “Football’s a game of opinions, you play the game and you know individually if you give possession away or someone has a bad touch or someone misses a chance, in the past three years there have obviously been frustrations and that’s sort of come through on the pitch. “But now, I think the lads have been given so much support so when a mistake is made it’s just batted off and everyone’s pushing in the same direction. Reflecting on the club's relegation, he said: “This is not good day for the club, we’re going down a division. I don’t want to put a downer on it. 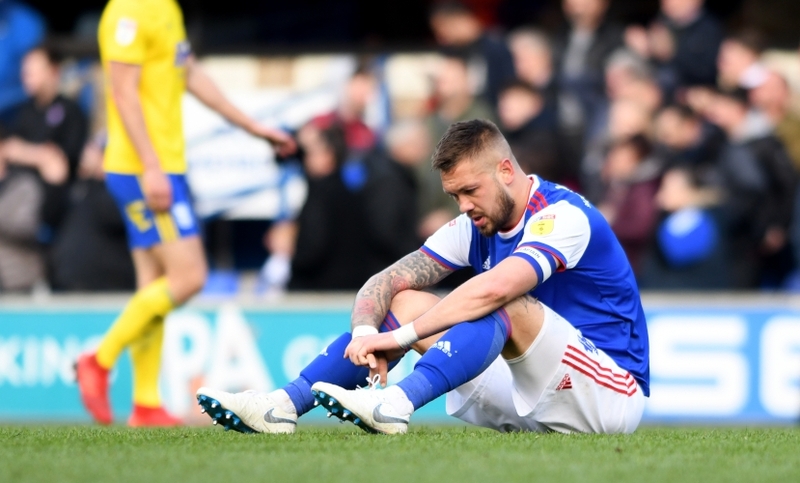 Looking ahead to next season and League One, Chambers believes the Blues' young squad will have learnt a lot from this season's disappointments. He continued: “Everyone’s going to be stronger mentally, everyone’s going to have that experience of [this season]. “I think the boys who [came in last summer] have proven themselves in the division we’re going to be in. "I’ll take Jon Nolan as an example. I think Jon will be honest and say that it took him four or five months to get himself to the level he wants to be at. Sums the season up nicely! Sorry, I thought it was player of the year, indicating he actually played well??? In terms of what was done on the pitch Pennington was in a total different class to Chambers. Club man of the year, 100%, player of the year..maybe not. Surprised by this , thought Pennington , but you cannot knock him for his passion, well done and let's hope next season is a start to a new era. How good must he have been in all the games I COULDN'T get to this season?!!!! He got it for being a leader and captain it appears. For me Penno and Trevor both deserved it more than him. If Judge had played more then he would be a candidate and if Sears didnt get injured who knows. That's one for some of his critics. Well done Chambo, not the best of defenders - but a damn good Clubman. Well deserved on that front. But, no doubt his 'few' critics will know better - or think they do..... !! Well done Skipper. A well deserved award. You have always led from the front and wore the shirt with pride. Not a season for great individual or team performances but your wearing of your heart on the sleeve is extremely commendable. Just shows that the mean minded critics of Chambers on TWTD do not have the support of fans who voted. We all know that Chambers is in the twilight of his career so let's be pleased for him. Well that says it all about the season if Chambo has won it! !...is this for his on or off the field action? maybe both, if it's for on the pitch then I'm shocked, over the course of the season I'd say both Pennington and Chalobah were both better and possibly Sears (if we're talking just about football) but then again they're both loans and they were never going to get it. Well this sums up our supporters, go out, try hard and fist pump and you will be player of the season! Even today, he played his part in a terrible goal and is partly or wholly to blame EVERY week for a calamitous goal. He has had his day, but may do better in league one. Just because Sears got injured, does it make him a worse player in an area of the pitch that has proved most difficult. Time for the youngsters to step up from being promising to actually doing the job required. Let’s hope for a better season in league 1, but it’s going to be hard. The supporters should have got the award, been great support and behind the team, pity the players couldn’t have put in the same effort, and they haven’t, they have to look at themselves. Simply not good enough and shown by being the first team relegated outside the premier league! If the award was for being our most consistently useful performer over the season then Pennington probably should have got it. Chalobah would be a close second - certainly for his performances the last few months. But I can see not wanting to give it to a loanee. 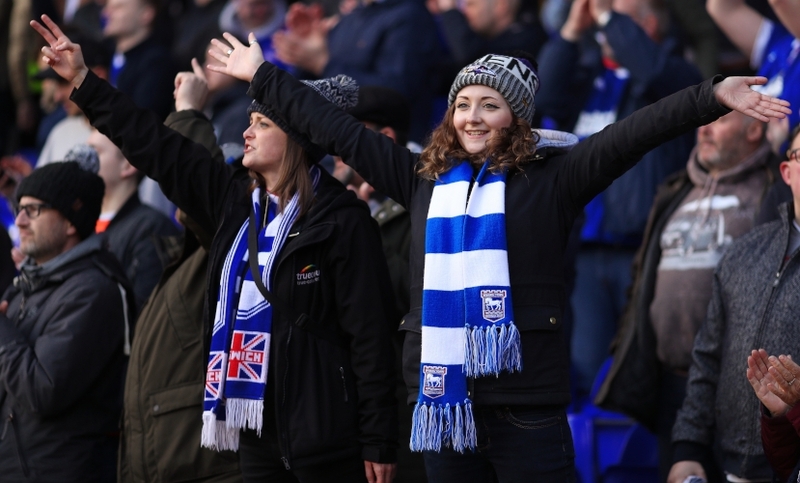 If you're talking about performance off the pitch then the supporters have been pretty remarkable in staying on board and continuing to out-sing supporters of teams in far better situations than us. I have nothing against Chamber but, on the pitch at least, he's not had a particularly good year. Hahahaha ..... Is it April 1st ???? Captain Calamity player of the year ??? He’s been brave through injuries, lead the club to its worst season ever, been the direct single reason for so many goals against, shouted a lot and embarrassed by so many opponents. BUT our best player - NEVER in a million years. What an embarrassing award, personally I think Chambers has had his worse season since being at the club, and this is him playing in his preferred position! Yes he has been a loyal servant and has played through the pain barrier on several occasions but at no stage has he been our best player. Joke. Sums up the club at the moment. Nice guy but it just confirms how poor our season has been when Chambo wins this award. Good talker on and off the pitch but he has presided over such a porous defence and the worrying think is that the other runners up in this award are both off soon! Well done chambo and deserved it just goes to show that the majority of fans see the game as a whole and not through the myopic eyes of 200 or so users of TWTD who unfortunately think they are the majority. Yesterday was the day that many wished for well you got it enjoy. The player of the year!.... As decided by General Sir Anthony Hogmanay Melchett. "Sit next to me darling"
Sums this team up nicely. Unless it was picked by the players, as none of them wanted the award... Give it to the one that gets picked and does bu**er all productive week in, week out. Presumably got the award for some of his excellent off the field work. A real ambassador to the club and wider community. Performances on the pitch haven’t been good though. Personally prefer to see him get the award rather than another clubs player.